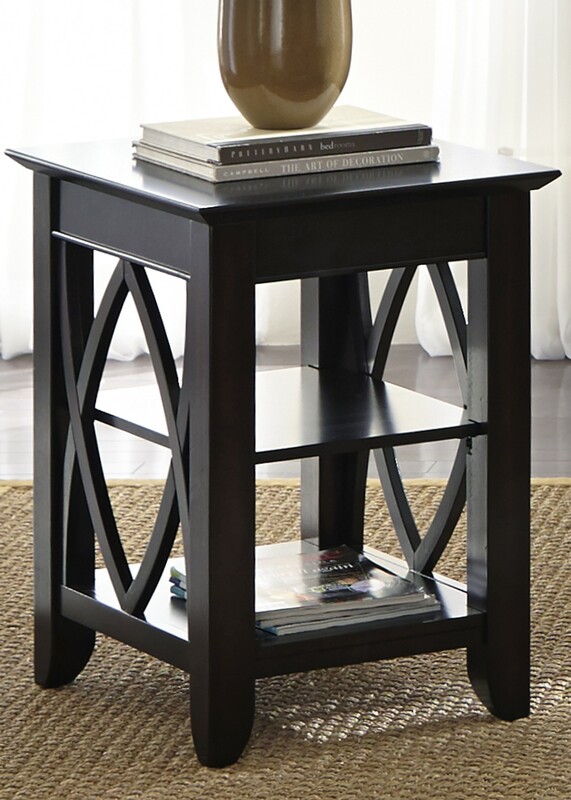 Crafted from wood and veneers, this beautiful shelf end table from Liberty and Carolina Furniture will complete your living room settings. 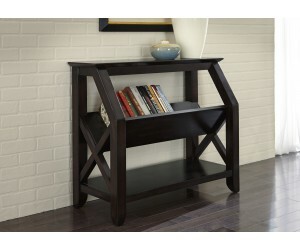 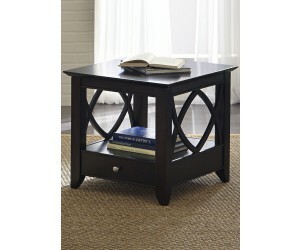 Exceptionally accommodating, this table features a center and a bottom shelf for additional storage and are accented by unique side designs. 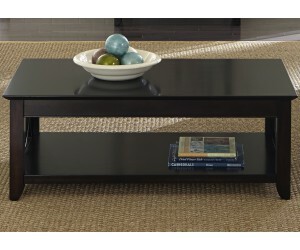 Highlighted by a thick top, this table also showcases unique side design accents. 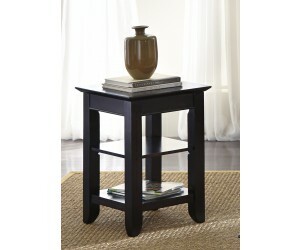 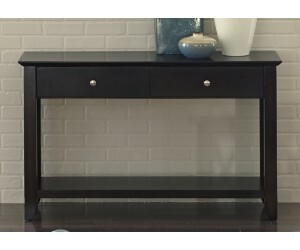 With block legs and a two-tone finish, this table adds lovely transitional accents to your home.